This sterling silver hugs and kisses bracelet is inlaid with a matrix of iridescent white opal by Leon Nussbaum, our London silversmith, of pure British sterling silver. Each will appear to flicker and change with every movement of the wearer. Opal, considered ''the queen of gems,'' can flash patterns of color representing every hue of the rainbow. Believed by ancient peoples to actually contain fire, opal has long been ascribed many mystical and healing properties. Since 2004, Leon Nussbaum of London has been delighting Uno Alla Volta customers with sterling silver jewelry set with a matrix of iridescent opal. For the last nine months, we have been collaborating with Leon to bring back a very special ''LOVE'' collection just in time for Valentine's Day: Hearts, hugs and kisses - all brought together for the first time. 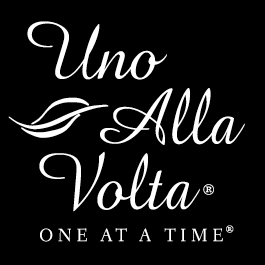 This opal XO bracelet is masterfully handcrafted exclusively for Uno Alla Volta, from the heart and hands of the artisan. Bracelet measures approx. 8 in. long. Lobster clasp.